Catch Malaysia’s number one comedian Harith Iskander who will be hosting the country’s first ever late-night show, “Obviously Harith Iskander” (OHI) which will air on Astro Awani (Channel 501), every Saturday at 9.30pm. The 13-episode talk show will premiere on 28 May 2016 with Air Asia’s co-founder Tan Sri Tony Fernandes and songstress Dasha Logan as the guests. “The idea to produce a late-night talk show was inspired by the popularity of talk shows hosted by comedians Jimmy Fallon, James Corden and Jimmy Kimmel to name a few,” said Faizal Mansor, Chief Executive Officer of Astro Awani. 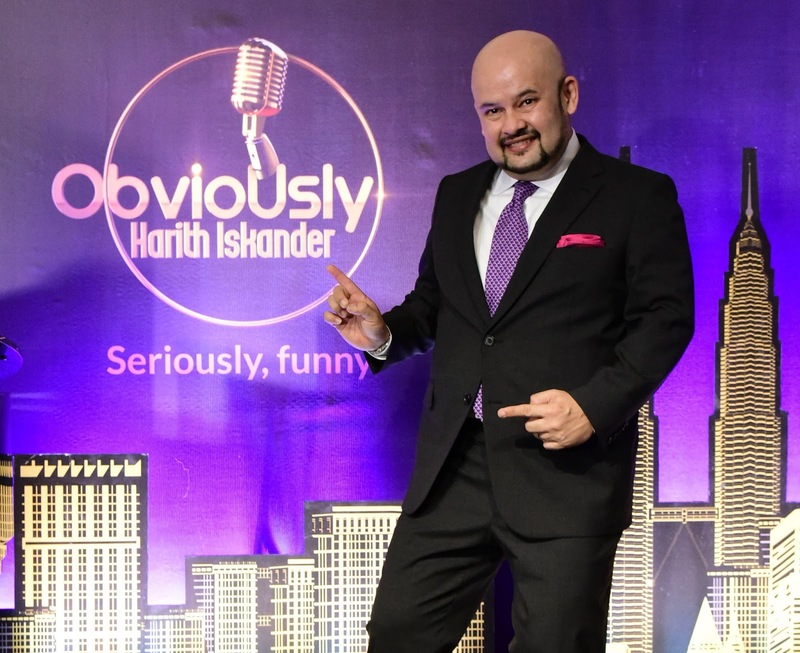 “With over 2 million Astro viewers tuning into comedy programmes, we are excited to team up with Harith Iskander, Malaysia’s most loved comedian for our inaugural late-night talk show, OHI for our viewers,” he added. (L-R) Harith Iskander (Host OHI), Faizal Mansor (CEO of Astro Awani), Spencer Lee (Air Asia), Timothy Johnson (INTI University & Colleges), and Michael Veerapan. 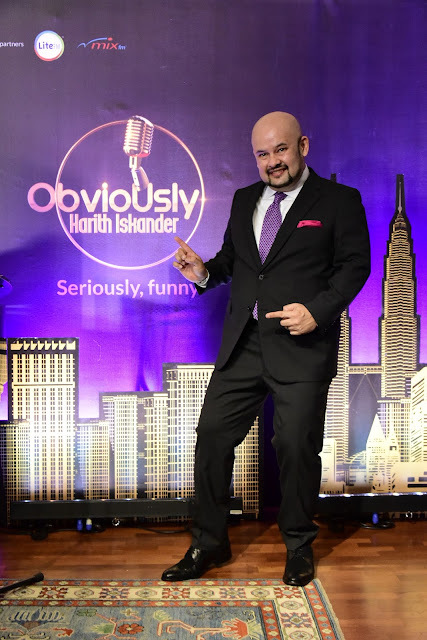 Known as the Godfather of Stand-up Comedy in Malaysia, viewers can expect Harith performing topical monologues where he makes fun of the day’s news, comedy sketches, celebrity interviews and musical performances by new and current artists. “I cannot describe how thrilled and honoured I am to be joining forces with Awani,” said Harith who was given Asia's Best Stand-Up Comedian Award by “Top 10 Of Asia Award 2014”. “OHI will set a new precedent for Malaysian TV. We will show what we are capable of, if not equal to, possibly better than what the rest of the world has to offer,” he continued. OHI also promises a line-up of interesting and famous personalities like Datin Paduka Marina Mahathir, Shila Amzah, Jaclyn Victor, Dato' Seri Nazir Razak, Adibah Noor and more. Moreover, jazz legend Michael Veerapan will serve as the show’s musical director and band leader.